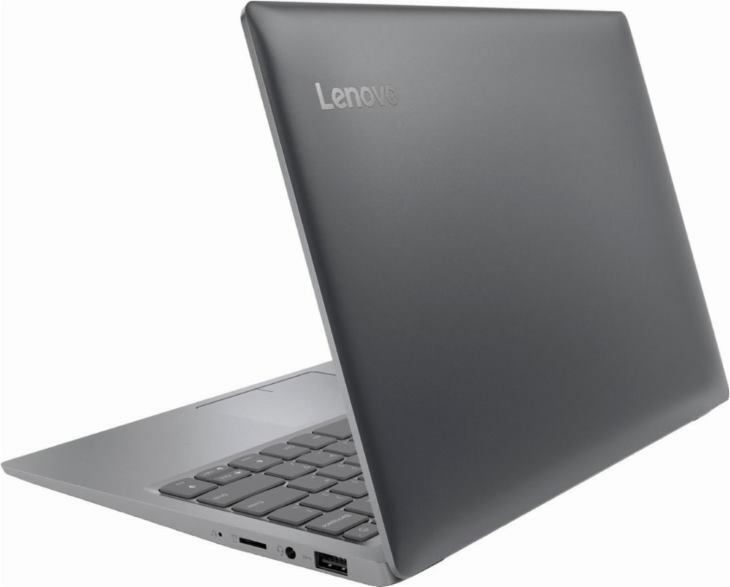 The Lenovo IdeaPad 120S-11IAP 81A40025US is a very cheap 11.6-inch mini-laptop. 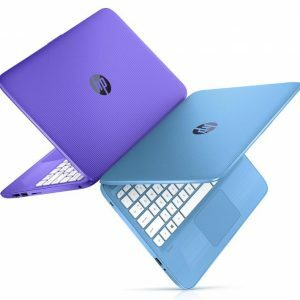 It’s a kind of a famous model, since it was included in Best Buy’s Black Friday ad as the cheapest laptop with a price of only $99.99 (it’s around $200 now) . This 2.9-pound “Mineral Gray” plastic ultra-portable was one of the best sellers on Black Friday. But what are the trade-offs? Small RAM size and cramped storage space of only 2GB and 32GB, respectively. Also, the included Intel Celeron N3350 processor isn’t an admirable performer. It’s rather an entry-level processor, good only for the basic computing tasks like web surfing, video playback, and some Office-style productivity apps. 2GB of RAM will enable you to multi-task with only a couple of non-demanding programs running simultaneously. For any serious multi-tasking 2GB is too small. As for storage, the included 32GB eMMC Flash memory-based drive will enable you to store a limited amount of data. Windows 10 installation takes up around half of that space, so you’ll end up with around 15GB of free space for your files. For storage expansion, you can use the notebook’s built-in microSD card reader in which you can install a memory card and store files on it. The display resolution isn’t exceptionally sharp with a pixel count of 1366 x 768. But, that’s not too bad for image sharpness on the IdeaPad 120S-11IAP 81A40025US, since the 11.6″ display is among the smallest on the notebook market. The screen is based on TN technolgy, with narrower viewing angles than on the IPS screen. Touch input isn’t supported. 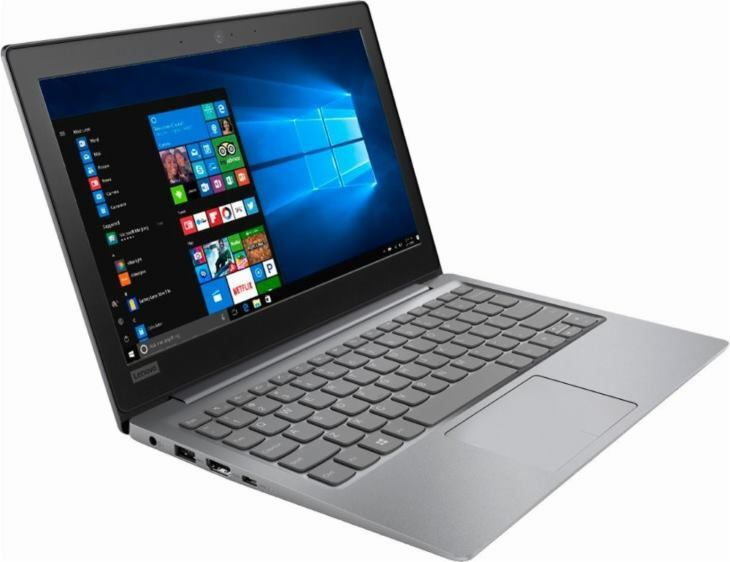 Lenovo estimates that the IdeaPad 120S-11IAP 81A40025US can provide a battery life of “up to 8 hours”. That could be a realistic estimation, because the laptop’s processor and other components are quite power-efficient. Another positive thing about the included Intel Celeron N3350 is that it runs cool and enables fanless design of the device. Rounding off the specs, the 120S-11IAP 81A40025US features a non-backlit chiclet-style keyboard, a big touchpad, stereo speakers, a web camera, 802.11AC Wi-Fi wireless, two USB 3.0 ports and a USB-C port, an HDMI video out, combo mic/headphones jack, and the aforementioned microSD card slot. Here's the specs sheet of the 120S-11IAP 81A40025US. For comparison against other laptops, use the "Compare Specs" button. 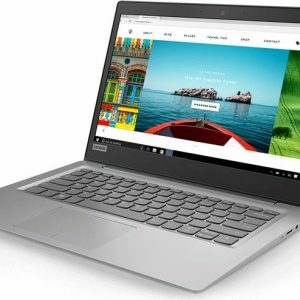 Is this laptop good for a college student to do Microsoft Word, Powerpoints, and research at the same time? I think this model isn’t a good solution for doing multiple tasks at the same time, because it has very small RAM size of 2GB. For the tasks you mentioned, at least 4GB is needed if you don’t want annoying slowdowns. Also, the included Intel Celeron processor is among the slowest. For these Office apps + for instance Chrome browser (for online research), you should get a laptop with at least Intel Core i3 processor (i5 and i7 are even better) and 4 or 8 GB of RAM. True, the Lenovo 120S-11IAP 81A40025US will be able to complete these tasks, but slowdowns will very likely occur during these activities. Based on the specs of this laptop, is it capable of remoting into a PC? Hi, I have used TeamViewer remote desktop software on a similar device with an Intel Celeron CPU and 2GB RAM to control another Windows PC. Everything worked just fine, without slowdowns or other issues. I haven’t tried other remote desktop client programs, but I assume they should work just fine, because they generally aren’t hardware-demanding. What matters a lot for smoothness of remote desktop is network connection speed. That can be troublesome if you run bandwidth demanding remote desktop tasks like video editing/playback. For Excel and similar apps it doesn’t matter that much. Screen resolution might be an issue too, if you for instance want to run Full HD remote desktop on the screen of the IdeaPad 120S-11IAP 81A40025US which is up to HD. There’s an option in TeamViewer to scale the remote desktop resolution, but your picture quality might suffer.